There are many arguments against Klout, and positive sentiment about this online scoring system for influence is less now than when it was first introduced. 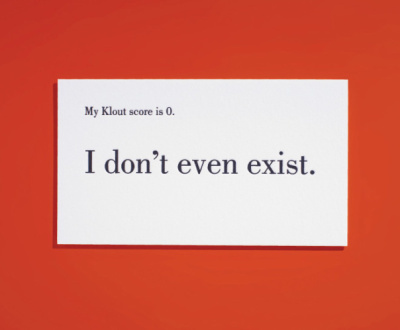 I understand the backlash against Klout, really I do. People don’t like being judged. Klout points fingers, saying “this person is important”, and “that person isn’t”. It makes many people angry. I get it. Imagine how hated Google would be if its algorithm said you have no influence and what you say is worthless. Google already does that, by not sending you any traffic at their whim, but taking it one step further and saying “it’s because nobody is interested in you” would be an especially bad PR move. Take all the hurt feelings from toes being stepped on and set that aside. 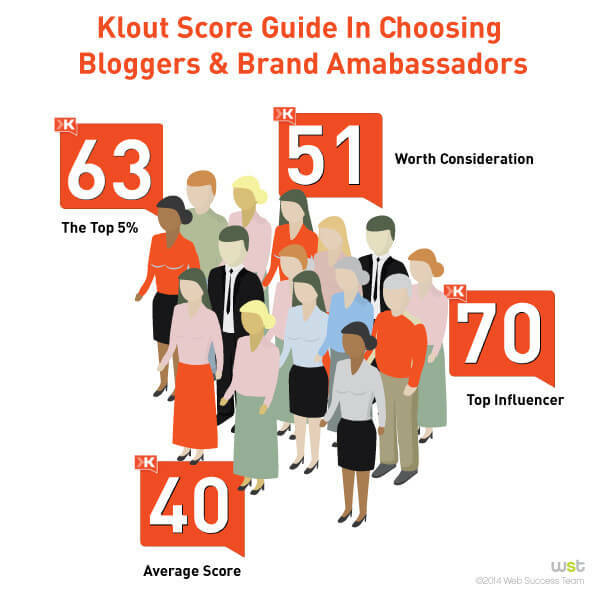 Your Klout score matters, but not for bragging rights. Below is a list of reasons to pay attention to your clout on Klout, but first let’s talk about why people hate it. The scoring page on Klout bugs me. The first individual is President Obama. Let’s just say he’s a polarizing figure, with a majority who are against what he has to say — his polling numbers consistently below 50% for a while now. Yet, he has a 99% Klout rating. What is Klout supposed to represent? It says he has “the most important Wikipedia page online”, which is certainly subjective. 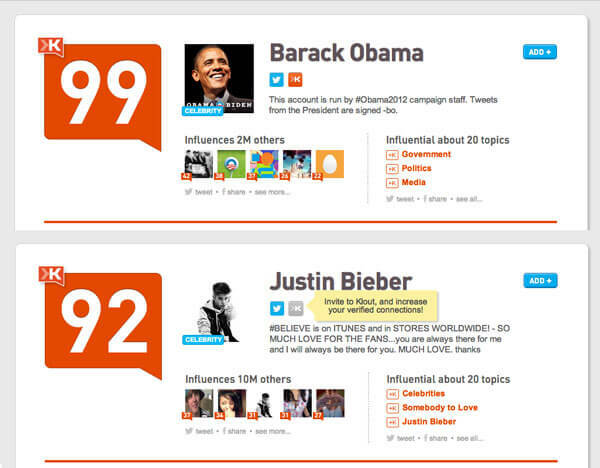 Klout was criticized because Obama scored lower than Justin Beiber, so it rigged its algorithm to correct that. Now, Obama is at 99 and Bieber is down to 92 (from a previous 100). This attempt to mix apples with oranges, and appease critics is downright ridiculous. Beiber should score 100 for influence with teens and Obama should score 100 for whatever demographic he appeals the most to. Using Klout to compare apples with oranges is fruitless. 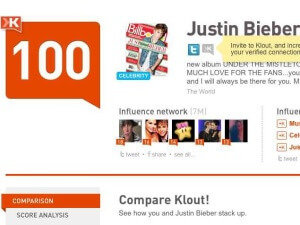 Set aside the fact that Klout’s angle is to judge some people better than others. Forget that Klout takes various types of influence with different demographics and mixes it all together to come up with its 1 to 100 score for everyone, that their scores often fluctuate and everything else you may dislike about it. Klout is important, but not for these glaring downfalls. The things Klout measures are similar to what Google does for determining author rank. Think of it like Majestic.com and how they measure trust flow. Majestic’s measuring of trust flow certainly isn’t exactly how Google does it, yet it is the most accurate statistic outside of Google that you’ll find for trust flow. Likewise, Klout’s measurement of influence is likely the most accurate judgment of author rank that you’ll find outside of Google’s engineer meetings. Likewise, Moz’s measurement of Page Authority is certainly not exactly the same as Google measure’s it’s internal Pagerank stats, though it likely to be the most accurate measurement available to non-Google engineers of what the current Pagerank for any particular page is. Seeing that Google no longer updates the visible Pagerank available in its toolbar, since 2013, the Moz Page Authority figure is crucial. Just as you would rely on Majestic to get a glimpse of Google’s topical trust for a page, or Moz’s Page Authority to glean what Google’s approximate Pagerank would be for a page, likewise — Klout is a representation of Google’s internal Author Rank algorithm. Do not take Google’s efforts at constructing a reliable author rank score lightly. Klout received 30 million dollars as startup money, later receiving 200 million in stock when acquired by Lithium Technologies. Part of the founder’s (Joe Fernandez) spiel is that he isn’t a programmer and that he achieved success by surrounding himself with people smarter than him. Meanwhile, Google algorithms have been raining like hellfire on the collective SEO community since Panda was released in 2011. 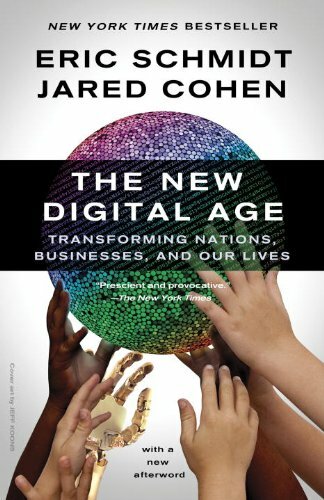 In Eric Schmidt’s 2013 book “The New Digital Age”, he spelled out how the future of ranking and SEO would be based on the authority of an author, as tied to a “constellation of their social profiles”, including Facebook, Twitter, Google+ and LinkedIn. I would be willing to bet that Google’s algorithms for deciding author rank are more developed than Klout’s. Google most likely takes into account a far larger dataset, compiled with a much larger data center than Klout would ever have access to. This author rank will be used to judge whether link popularity is real or fake. While we will never have an accurate gauge of what our Author Rank score is at Google, a Klout score should suffice to get a ballpark figure of Google’s author rank. Over time, Klout’s algorithms have gotten better at measuring online profiles in several areas. 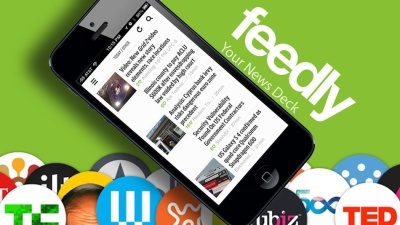 It measures not only your postings on social media, but how people respond to them with retweets and shares. It takes into account how often you post, the reach of your posts and even reduces your score if you take a break from social media. Anything Klout can do, Google can do better. These are all strong signals as to whether someone’s influence is real or fake — and Google uses it as a measure against link popularity a site has received, to judge whether the links are real or self-generated attempts at manipulating the SERPs. This is only the beginning of why Klout actually matters. 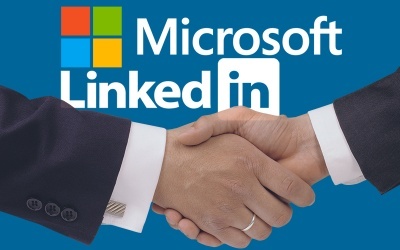 They have an agreement with Bing, and share information. Klout scores are a ranking factor on Bing. I know many people don’t even try to get traffic from Bing — but that is a mistake. Bing has 1/3rd of the search engine market. I know what you’re thinking, because I thought the same myself … “If Bing is responsible for 1/3rd of the traffic, why does Google send a disproportionately huge amount of traffic to my sites?” One of the reasons is Klout scores! 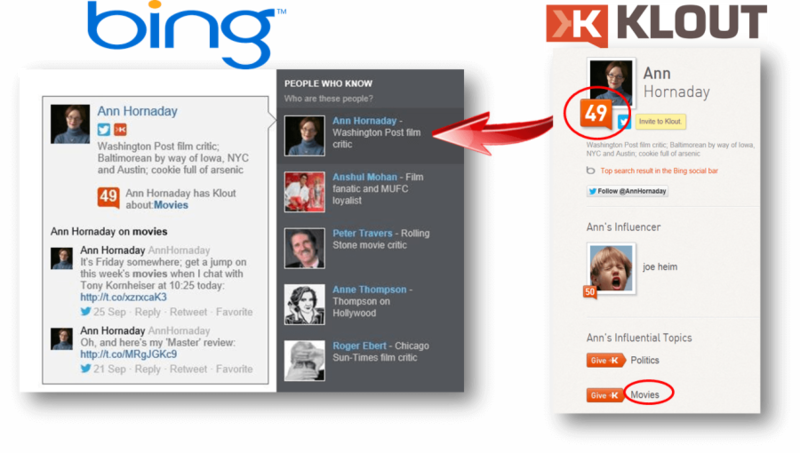 If you’re not ranking well in Bing, you should consider boosting your Klout score so you will rank better in Bing. 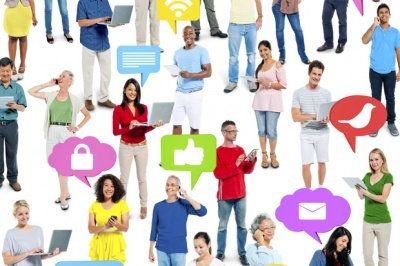 In 2015, you should be interested in boosting your Klout score. It is a Bing ranking factor. Klout scores and Google’s Author Rank most likely have a huge overlap — and by raising your Klout score you no doubt increase your Author Rank. Finally, if you do really well and break a 50 score, you’ll find a ton of free offers and other Klout rewards and perks that are paid for by promoters who see you as influential.